Rae Carr has been licensed to convert and sell Anni Arts paper craft designs as cutting files. ​I will list them here as she gets them done! This fun and versatile collection can be be cut from any paper and embellished as you wish. The packs can be resized. This bucket box is perfect for wrapped chocolates, hard candy and mixed sweeties - or cookies (put in food safe plastic bag, baking paper or waxed paper first) . The box can also be used for other items like small toys etc. This cutting file was created using a template by Anni Arts. The decorated example was created using plain card stock with embellishments from the Anni Arts Dragonflies and Lilies range. The Anni Arts Geo Pattern Prints are also great to use as background papers to cut from. The cutting files are for a blank template. NO graphics are included. • Picture instructions for assembly. • The ZIP download includes MTC-SCAL-STUDIO and WPC files for use with your Electronic Cutting Machine. 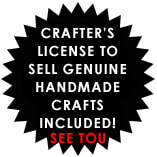 • Be sure your cutting software program will open/import one of the files before purchase! balsamic vinegar etc. or to size up for a small bottle of wine - or size down for smaller bottles of herb drops or those sample/ single shot bottles of tipple! 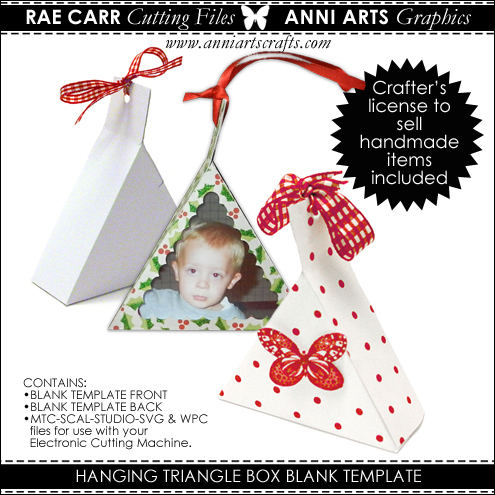 This cutting file was created using a template by Anni Arts. The decorated example was created using plain card stock with embellishments from the Anni Arts Scottie Dog range (part of Christmas Through The House). The Anni Arts Geo Pattern Prints are also great to use as background papers to cut from. 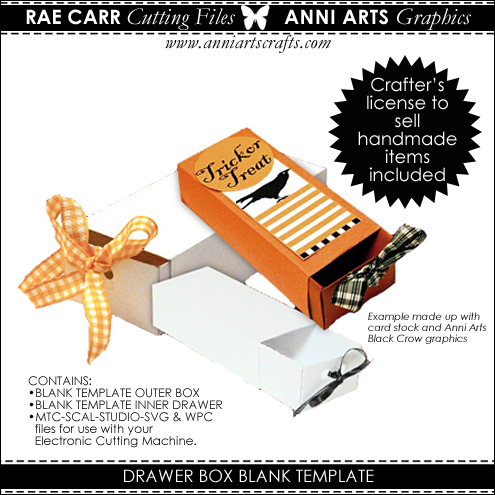 A clever drawer box has a ribbon pull and makes an unusual gift pack. It is also a keepsake craft that can be used to store little treasures or jewelry afterwards. This truffle box is just he size for luxury chocolates, hard candy and mixed sweeties - or cookies (put in food safe plastic bag, baking paper or waxed paper first). The box can also be used for other items like small toys etc. This cutting file was created using a template by Anni Arts. The decorated example was created using plain card stock with embellishments from the Anni Arts Easter Chicken range. The Anni Arts Geo Pattern Prints are also great to use as background papers to cut from. This little triangle box has a ribboned top and can be hung in a Christmas tree with a little gift or candy included, but it also looks nice as a regular gift box. it has a side opening. Two aperture boxes included! This cutting file was created using a template by Anni Arts. The decorated example was created using plain card stock with embellishments from the Anni Arts Butterflies range (part of Christmas Through The House). 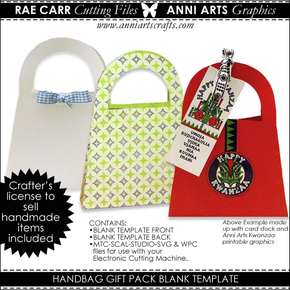 The Anni Arts Geo Pattern Prints are also great to use as background papers to cut from. This carrier bag is styled like an old-fashioned Doctor's Bag and has soft sides. 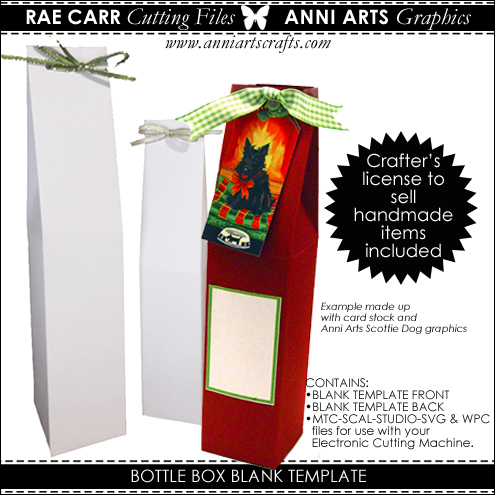 It is very versatile and useful as a pretty gift presentation. It was made at 4 x 3 x 2. 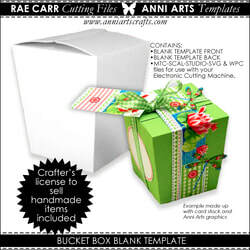 This is designed to fit letter/A4 paper, but with 12 x 12 you can resize and get a bigger box. 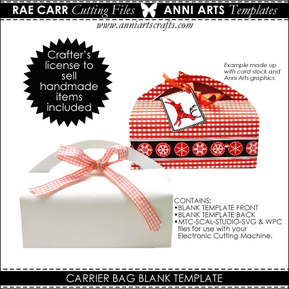 This cutting file was created using a template by Anni Arts. The decorated example was created with embellishments from the Anni Arts Happy Reindeer range and Red Anni Arts Geo Pattern Prints as background paper. 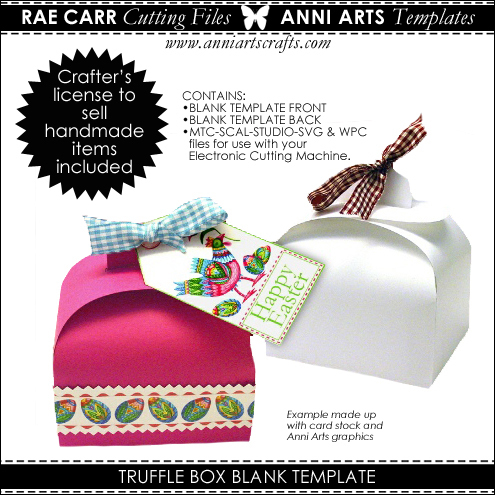 This cutting file was created using a template by Anni Arts. The red decorated example was created using plain card stock with embellishments from the Anni Arts Kwanzaa range . The Anni Arts Geo Pattern Prints are also great to use as background papers to cut from or use your own. The cutting files are for a blank template. • The Anni Arts template may not be used to create new graphic collections as downloadable products or flat printed out sheets. • You may use any papers to cut the box.